Money & Divorce: Are the Courts worth a gamble? Are the Courts worth a gamble? I had a hugely enjoyable few days at the Cheltenham festival last week. As usual I lost more than I won but a great spectacle and cracking good fun. As ever though when I go near a bookie I am oddly struck by how much a bet on the horses can resemble the experience of going to court to ask a judge to resolve your divorce and finances: some sure fire winners lose, some average runners win through unexpectedly, and sometimes a no-hoper romps home. Why is that? Surely something like the law should provide certainty of outcome not resemble a horse race? Well, the reason is that the law on finances and divorce in this country is discretionary, which means that although there are rules, those rules are subject to interpretation by the judge. Further, the rules governing splitting your money on divorce are interpreted widely and there is a lot of scope for the exercise of that discretion. And of course even though the law is supposed to an objective mechanism it is administered by judges who are really people just like you or me. In particular the judges who decide financial cases on divorce for ‘normal people’ are the lowest rank of the county court judiciary, known as District Judges. They tend to be solicitors, not necessarily family ones, and may not have had any real experience of family cases in practice (though many will have done). They are also, like solicitors across the country, going to be of variable quality – some are excellent, others far from it. Therefore as well as variation in how the rules are interpreted there will be further variation in the person who is doing the interpreting. 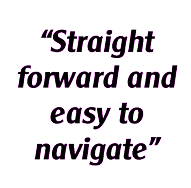 An added layer of arbitrariness is built in by the fact that you are very likely to have your case heard by a Deputy District Judge – so this person will not even be a full time judge but a solicitor (or barrister) who sits a couple of days a month as part time District Judge. Whilst many of them are excellent (sadly some are not), these part time judges all suffer from the habit of not being as robust as a permanent judge. Therefore if there is a hard decision to be made it is more often than not the case that a deputy will not make it and sit on the fence instead – which does not help anyone. Added to this is the very good chance that the time estimate for hearing the case will be exceeded, which means that the case will then be what is called ‘part heard’ and so ‘re listed’ (rescheduled) to continue on a different day. You then have the delay that is caused by this need to find an available time for the court, exacerbated by the need to get the same judge and the same lawyers and clients together at the same time which can be a diary nightmare. So, to go back to my racing analogy, if you go to court not only do you have to jump plain fences but also some fearsome open ditches before you get to within sight of the finish line. And then, even if you cross it first, your partner has the capacity to ask for a steward’s enquiry - by appealing the decision. Which in effect can then mean running some, if not all, of the race again. My advice is that you’re better of taking your chances with the bookies at a difficult meeting like the Cheltenham Festival than taking your chances with the courts. Better still though is to use some form of dispute resolution that keeps you out of the courts – this enables you to keep control of the process at least in part and to strive for a conclusion that you can both live with. 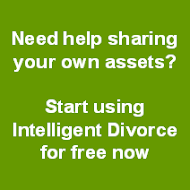 Intelligent Divorce is one of those better ways of solving disputes but so too are mediation, collaborative law, round table meetings – anything really that keeps you out of court. And my tip – well I would have a tenner on Sir des Champs for next year’s Gold Cup.